Japanese snack and beverage companies offer an endlessly morphing variety of flavor combinations. 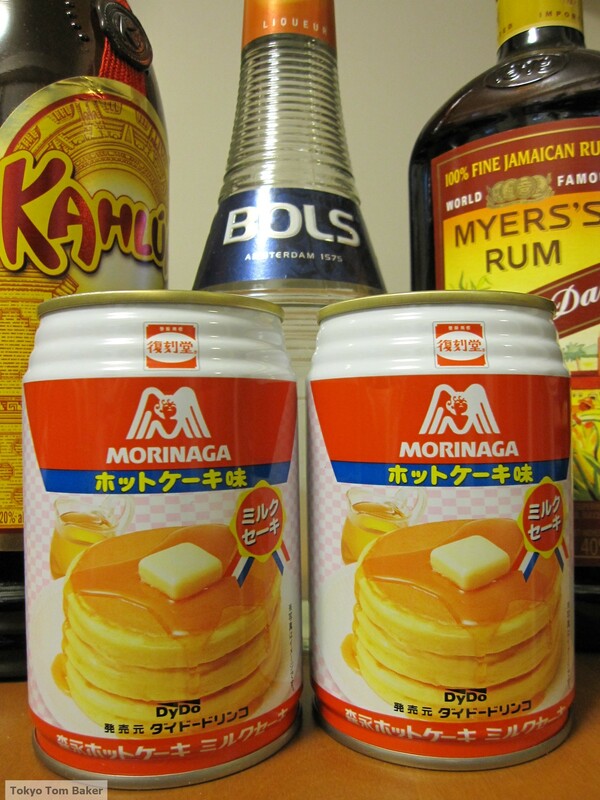 Probably the most surprising among them for now is the Morinaga company’s pancake milkshake in a can. Could anything be more unnatural? It sounded so disgusting that I simply had to try it. Assuming that only alcohol could make this gloop even remotely palatable, and further assuming the product might somehow resemble egg nog, I surmised that a shot of rum might be a good additive. On further thought, I decided to try Kahlua coffee liqueur and triple sec orange liqueur, as well. After all, pancakes are a breakfast food, and coffee and orange juice are also breakfast flavors. For the record, I was pleasantly surprised to find that a pancake milkshake drunk straight really does taste like pancakes – vanilla-flavored ones to be precise. And the consistency is not gloopy after all, but instead is thin and almost watery. If you drink it hot, the olfactory and flavor illusion of a pancake breakfast is shockingly real, even though the mouthfeel is all wrong. 1. Kahlua: The flavor of the liqueur almost completely overpowered the flavor of the canned drink. The resulting concoction had the same consistency and nearly the same flavor as a standard Kahlua-and-milk, only slightly sweeter. It was a nice enough drink, and I finished it, but I wouldn’t go out of my way for another glass. 2. Rum: This was more interesting, but not really a success. The ingredients combined to create a butter-rum flavor, but one that was harsh rather than sweet. I drank about half of it, and dumped the rest into the kitchen sink. 3. Triple sec: Ladies and gentlemen, we have a winner! This was a fantastically delicious drink. The orange and pancake flavors melded to yield a surprising result: caramel. With egg nog in mind, I had sprinkled cinnamon and nutmeg on the top of the drink. As I sipped, the scent of the spices and the orangey-caramel flavor added up to a wonderful dessert experience. It was like drinking a spice cake. Moral of the story: Don’t judge a pancake by its can. 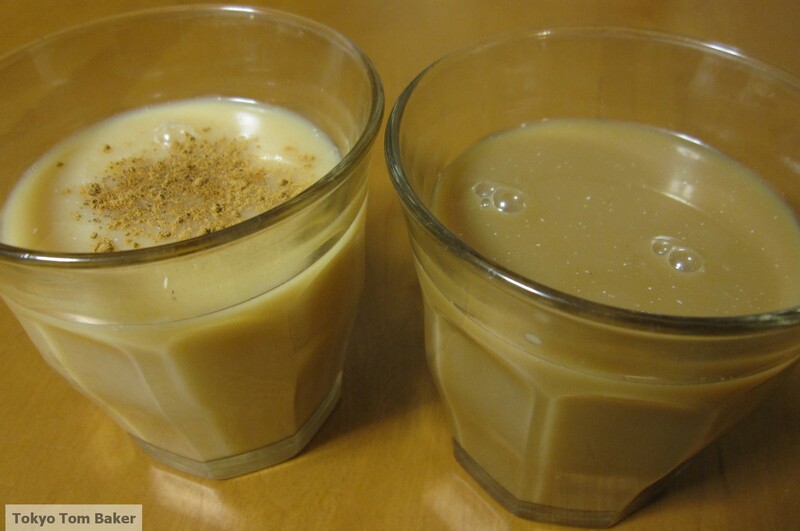 Canned pancake milkshake with triple sec, cinnamon and nutmeg, left, and with Kahlua, right. Despite the languishing economy, one business that never seems to slow down in the Tokyo area is construction. And since there’s no place left to build that doesn’t already have buildings on it, the demolition business appears to be in a state of perpetual boom as well. The tearing down of buildings is such a big part of life here that it has inspired at least one artist, Hayato Suzuki, to sketch and paint the machines that do the work. Several of his paintings caught my eye last night as I walked past Gallery Mozart in Ginza. Suzuki’s particular focus is hydraulic excavators equipped with demolition claws. His works range from highly realistic (including a large canvas of a machine at work within the ragged walls of a partially destroyed building) to phantasmagoric (small sketches of machines made of bones, which look like something from a David Cronenberg horror film). Most of the works at Gallery Mozart contain hints that the hydraulic excavators are somehow alive. The paintings pulled me into the gallery because I know that feeling myself. I recently watched the demolition of an old building over many days, and I too became fascinated by the movements of the machines. Time and again, an excavator arm would move back and forth over a pile of rubble with feline grace, dipping low here and there as if sniffing at the pieces and trying to decide which one might be worth picking up to eat. Or it would gingerly touch and probe a wall here and there before finally choosing a part to seize in its jaws and gnaw vigorously, chewing determinedly through concrete and rebar before pulling back to rest, or giving up and looking for a better spot, or finally succeeding in tearing away a nice fresh chunk of edifice meat. I know there was a man in the cab who served as the artificial creature’s brain, but that didn’t stop it from looking like a single living entity. And I have a feeling that the operator regarded the machine as an extension of himself in a certain way. Otherwise, why would he have to move the claw back and forth over the items he was thinking about touching? Wouldn’t it be enough to simply shift his gaze? Apparently not. 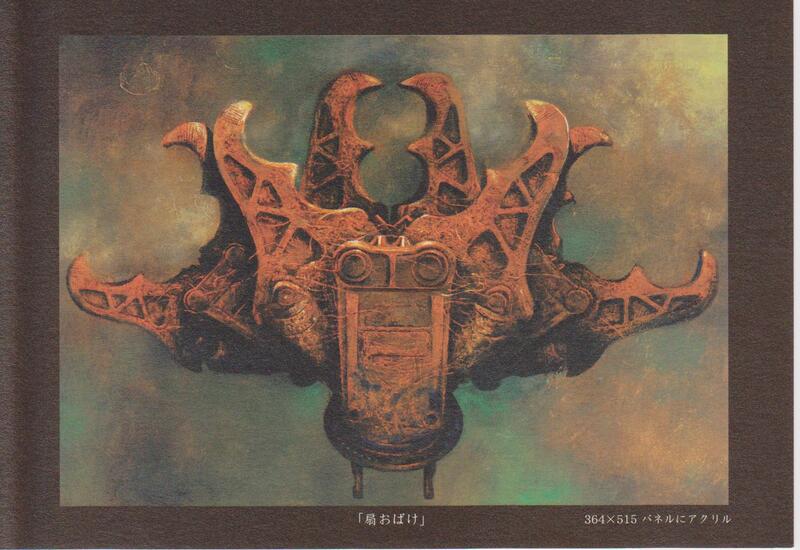 You can see more of Suzuki’s work at the gallery’s blog, here, here and here. 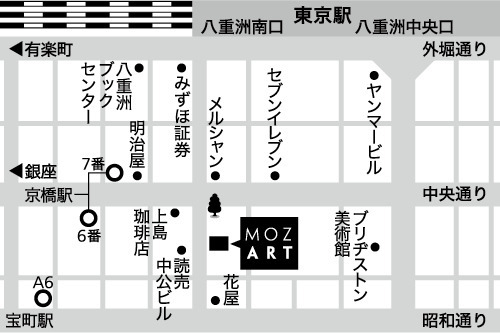 The exhibition runs through the end of this month, with Suzuki appearing in person at the gallery (which you can find via the map below), on the 28th, 29th and 30th. You are currently browsing the Tokyo Tom Baker: The Blog blog archives for January, 2011.